Rabbi Tzvi Kahana-Grushko,z"l was born in the year 1921 in the city of Sarni-Volhin and learned in the Yeshivot of Stolin, Baranovitch and Mir in Poland and then in Shanghai . 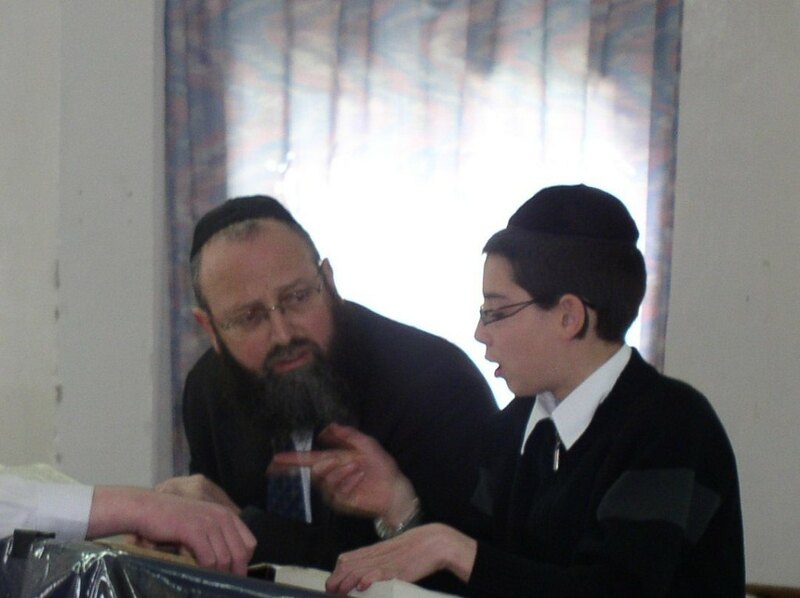 From there Rabbi Kahana-Grushko came on aliya and was amongst the first of the students of the Slabodka Yeshiva. After his marriage in the year 1950 to Rebbetzin Chasida, the daughter of Rabbi Yitzchak Arieli,z"l, author of "Einayim L'Mishpat", he continued his studies in Yeshivat Mir, Jerusalem . In the year 1964, he founded the Yeshiva on Moshav Beit Meir based on his special educational method that he received from his rabbis- Rabbi Elchanan Wasserman,z"l and from the Rosh Yeshiva of Mir, Rabbi Eliezer Yehudah Finkel,z"l and the mashgiach, Rabbi Yechezkel Levenstein,z"l.
In addition to Torah studies, he also educated his students in "derech eretz kadma l'Torah"-the concept that respect and good manners promotes Torah knowledge and the importance of honesty and integrity in daily life. In this special atmosphere, exceptional relationships of a closer degree than family ties developed between the Rosh Yeshiva and his students. 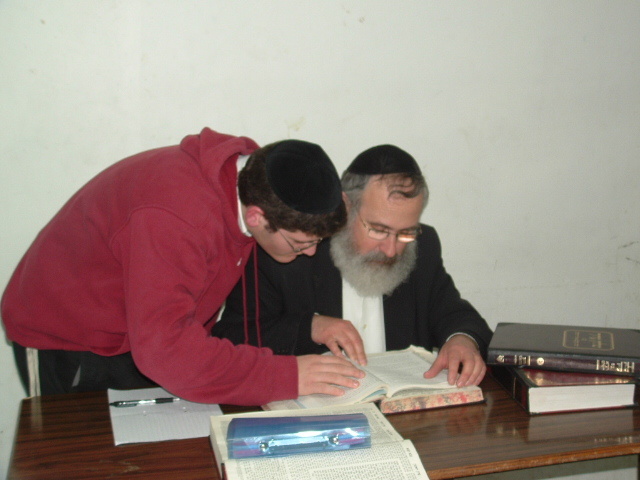 Among the Yeshiva graduates are those filling positions of importance in the Rabbinate and Torah teachers following the path that they received from the Rosh Yeshiva,z"l.
The Rosh Yeshiva passed away on 6 Tishrei 1996 leaving his testament of the emphasis to integrity that is an endowment to future generations. The Yeshiva is situated on Moshav Beit Meir in the heart of the Jerusalem Mountains far from the tumult of the city and in a village atmosphere and pastoral tranquility and nature which induces a relaxed and calm environment for the students to promote self advancement. In the Yeshiva are students who range from ages 14-18 years old in small classes with a staff who guides each student in a personable manner to gear each one towards establishing his correct place in life and is done in a comfortable family atmosphere. The students form a cohesive family unit with the Yeshiva Rabbis that is maintained even after the completion of his studies there. This is expressed in the day to day contact with the staff during the continuation of their studies in upper Yeshivot and before and during marriage. There is a Kollel connected to the Yeshiva of knowledgeable men who learn until late at night and on Fridays and some stay all week long on campus. These Kollel members are living examples and help in the progress of the students and have a positive influence on the residents of the area in coming closer to Torah and Mitzvot. Standing as heads of the Yeshiva today are the son of the founder of the Yeshiva, Rabbi Aharon Kahana, shlit"a and son in law of the of the Yeshiva, Rabbi Shalom Karlinsky, shlit"a. which are work together with the important and devoted educational staff led by Rabbi Shlomo Ginsburg, shlit"a, Rabbi Zev Kamenetsky, shlit"a, Rabbi Yosef Blechman, shlit"a and Rabbi Akiva Orlansky, Shlit"a. The number of staff has 18 people, which are Rabbis, Teachers and Mentors, note that the 3 of the educational staff members are alumni of the Yeshiva. Serving as president of the Yeshiva is Rabbi Yitzchak Erenberg, shlit"a, Av Beit Din of Berlin, Germany who was amongst the original students of the Yeshiva from the years 1964-1970. Serving as president of the American Friends of the Yeshiva is Rabbi Chaim Guttman,shlit"a who was also amongst the first of the students in the Yeshiva in the years of 1964-1967. The Yeshiva's Beit Midrash is called "Beit Yechiel" named for his father R' Yechiel Guttman,z"l, a notable Alexander Chassid.